Karen McLaren knows that the decision to buy or sell property can be the biggest decision you will ever make. Because of that, you need to have the utmost confidence and trust in the salesperson you employ. 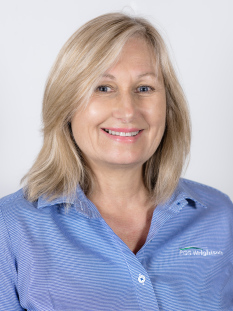 Working with the team at PGG Wrightson Real Estate, Tauranga, Karen specialises in both residential and lifestyle properties throughout the Western Bay of Plenty. Karen’s focus is to provide her clients with an honest, reliable service that they can depend on. This helps to achieve the best outcome that clients are looking for throughout their real estate experience. Karen has lived in the Bay of Plenty for over 30 years on both orchards and lifestyle properties and is currently developing a small G3 Sungold™ kiwifruit orchard. She spent over 20 years in secondary education as a Technology teacher and Career Practitioner before moving into recruitment and marketing for one of NZs leading Universities. Key portfolios included the Agrifood sector where Karen worked closely with other key education providers to promote Primary sector pathways. Karen is motivated to achieve the best result for you in the fastest time.